Nigerian soul singer Simi, is one entertainer who has had to endure her own share of heavy criticisms because of her sense of style . Simi, 29 has has often faced bashing for almost anything she steps out in. Many of her loyal fans have advised her to get a stylist and put an end to embarrassing herself on the red carpet and on stage. 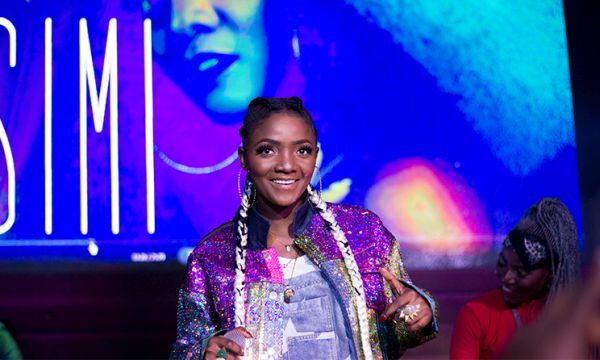 GoldMyneTV caught up with Simi recently and the Joromi crooner was quick to remind us that everyone is entitled to criticize or drop opinions, as long as she is not disrespected in the process, she is cool with it. However for everytime she got bashed, the singer always had the right response for her detractors. She was always quick to remind them that she is an entertainer not a fashion icon.